1. Dimension: 41(D) x 33 (W) x 17.5 (H)CM. 2. Cooling: one 8 x 8 cm intake fan. 3. Spece: 8 long card. 4. System boards: for 8 or 10 slot backplane (option). 5. 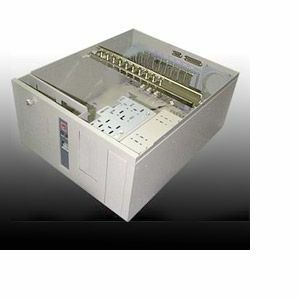 Power supply: PS2 power supply (option). 6. Drive bays: 2 x 5.25" Fdd + 3.5" FDD + 1 x 3.5" HDD. (1) 53 (D) x 29 (W) x 45.5 (H) CM, 2.5 CU.FT. (2) N.W/ 6.5 KGS G.W/ 8.5 KGS. (EXCL.P/S).